Bhishmotsav: Ratna Pathak Shah (left) and Seema Bhargava Pahwa are among the performers. The Kopal Theatre group will mark Hindi writer Bhisham Sahni’s 100th birth anniversary by staging some of his short stories, like Oob and Sir Ka Sadka. Zasha Colah and Sumesh Sharma of the Clark House Initiative, a curatorial collaborative, have put together Bunting. Featuring the work of 27 artists, the exhibition shows the various interpretations of bunting. 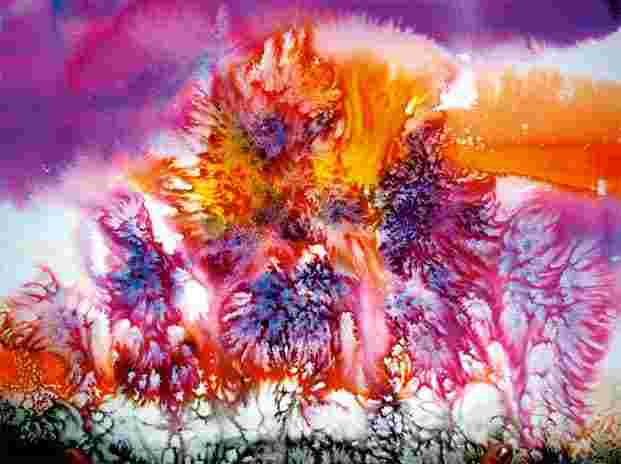 The list of artists includes Poonam Jain, Yogesh Barve and Michael Vickers. 11am-7pm (closed on Sundays and 15 August). Chemould Prescott Road, Queens Mansion, GT Marg, Fort (22000212). British artist Julian Opie’s Winter captures a sense of movement through 75 images, recreating the experience of a walk in France’s Loire Valley. 10am-6pm (closed on Wednesdays). Dr Bhau Daji Lad Mumbai City Museum, Dr Babasaheb Ambedkar Road, Byculla (23731234). Entry, ₹ 10 for Indians and ₹ 100 for foreigners. This annual festival is a tribute to ustad Karamatullah Khan, a tabla exponent and Hindustani classical singer. The artistes performing include sitar player Hidayat Khan, Kathak dancer Seema Mehta and sitarist Niladri Kumar. Cultural centres Goethe-Institut/Max Mueller Bhavan and Instituto Cervantes, along with the Italian embassy cultural centre, have collaborated on a curated selection of feature, short and experimental films. The films, with English subtitles, have already been screened at international festivals. Timings vary. Little Theatre, National Centre for the Performing Arts (NCPA), NCPA Marg, Nariman Point (22824567). Nupurchhanda Ghosh will present songs by Bengali poets Atulprasad Sen, Dwijendralal Ray and Rajanikanta Sen. There will also be a performance by tabla maestro Tanmoy Bose. 6.15pm. Rabindra Sadan, Cathedral Road, Park Street. For details, call 9830873474. Directed by Margarethe von Trotta, Marianne And Juliane is set in erstwhile West Germany. It is the story of sisters Juliane and Marianne who fight for women’s rights, although in different ways. 1 hour, 46 minutes. 6.30pm. Goethe-Institut/Max Mueller Bhavan, 8, Ballygunge Circular Road, Ballygunge (24866398). Seating on first-come, first-served basis. 3-8pm. Academy Of Fine Arts, 2, Cathedral Road. Prices, ₹ 1,000-25,000. For details, call 8981025577. 10am-6pm. DakshinaChitra, Muttukadu, East Coast Road (24462435). Curated by writer Meenakshi Thirukode, this exhibition of 15 artists explores the different yardsticks of good and evil, through paintings, video art and installations. 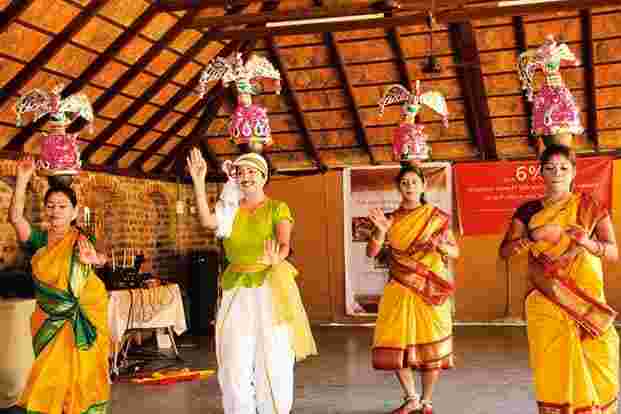 The list of artists include Alexander Singh, Chippa Sudhakar, Jaishri Abichandani, Chitra Ganesh, Kumaresan Selvaraj, Lekha Washington and Seema Kohli. Directed by Amit Singh, Murphy’s Wedding is a comedy focused on the wedding of a Gujarati boy and a Tamil Iyer girl. In true Murphy’s law style, there is total chaos on wedding day. 7.15pm. Museum Theatre, Pantheon Road, Egmore (28193238). Tickets, ₹ 300 and ₹ 500, available on www.eventjini.com. For details, call 9884814222. Timings vary. Siri Fort Auditorium, August Kranti Marg. For details, visit Facebook.com/SFFND. Progressive Brothers play a mix of progressive/electro house, trap and hardstyle music. The duo has performed at music festivals like Sunburn and VH1 Supersonic. 9.30pm. Fio Cookhouse and Bar, Epicuria Mall, Nehru Place (26281026). Meal for two, ₹ 3,500. A series of events has been organized to commemorate the birth centenary of Hindi writer Bhisham Sahni. Watch the play Kabira Khada Bazaar Main on 7 August; attend a discussion on the Indian literary landscape, Aaj Ke Ateet, on 8 August, and a discussion on his seminal work, the tele-series Tamas, on 9 August. Tamas will be shown, in parts, on 10-11 August. 7pm. India Habitat Centre, Lodi Road (43663333). Directed by Léa Fazer, Maestro is about Henry, a young actor who is cast in a movie by a famous film-maker. Henri is won over by the charms of his on- screen partner and the generosity of the film-maker, and emerges transformed by the experience. 1 hour, 21 minutes. 7pm. Alliance Française, Plot No.4, Aurora Colony, Road No.3, Banjara Hills (23554485). Is Kambakht Sathe Ka Kya Karen? 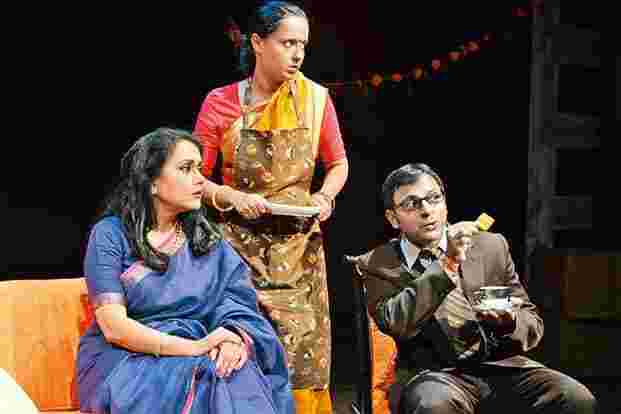 Saurabh Gharipurikar adapts Rajiv Naik’s Marathi play Sathecha Kay Karaycha to tell the story of a married couple—Abhay, an ad maker, and Salma, a lecturer. The play revolves around their trials and tribulations in balancing their married and professional lives. 1 hour, 10 minutes. Directed by Nagaraju Pejjai, Ek Tha Gadha is a satire on how a person in authority capitalizes on someone’s tragedy for his/her gain. 1 hour, 30 minutes. Hosted by comic Saveen Hegde, Barking Mad 3 is an evening of stand-up comedy that will feature some of Bengaluru’s funniest people, including Praveen Kumar, Shunky Chugani, Siddharth Banerjee, Ahmed Sharif and Sumukhi Suresh. The 11th edition of the Nature Bazaar brings together more than 100 craft groups from across the country to showcase a wide range of handcrafted textiles, jewellery, accessories, pottery and paintings. 11am-8pm. Manpho Convention Grounds, Veeranna Palya, Nagawara Ring Road. Entry, ₹ 40. Shraddha Rathi, an architecture graduate from the Jawaharlal Nehru Engineering College in Aurangabad, is displaying 23 paintings. Her work celebrates rhythm and harmony, combining traditional values and modern experiences. 11am-7pm (closed on Mondays and 15 August). Mahua Art Gallery, The Collonade, The Leela Palace, Old Airport Road. Prices, starting from ₹ 10,000. Pallon Daruwala looks for a sense of design in everything around him, especially nature. Shapes, patterns and textures, accentuated by the play of light, play an important role in the way he sees things. 11am-7pm (closed on Sundays and 15 August). Crimson—The Art Resource, The Hatworks Boulevard, 32, Cunningham Road (65379223). Prices, starting from ₹ 25,000, plus taxes.